The surgery will be CLOSED on GOOD FRIDAY (19th April) and re-open on Easter Monday (22nd April) at 8am. 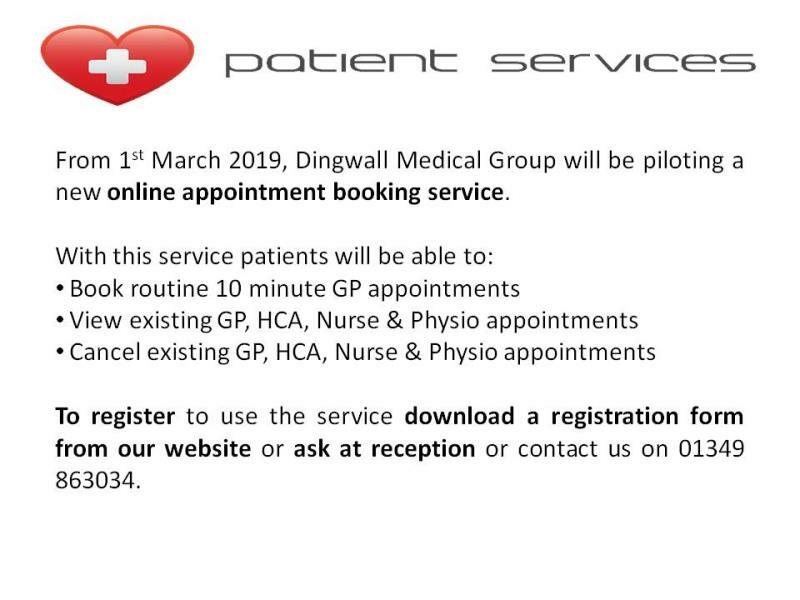 If you require urgent medical assistance on Friday 19th April and you cannot wait for the surgery to re-open on Monday, please phone NHS24 on 111. In the case of a medical emergency, dial 999. We wish all our patients a Happy Easter. 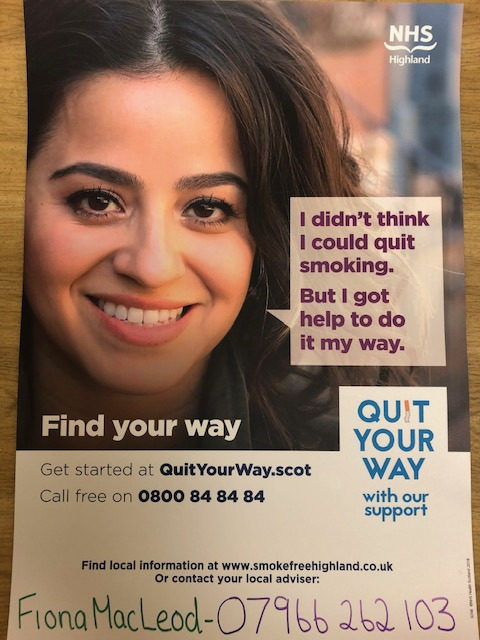 Are you looking to get support and advice to stop smoking? 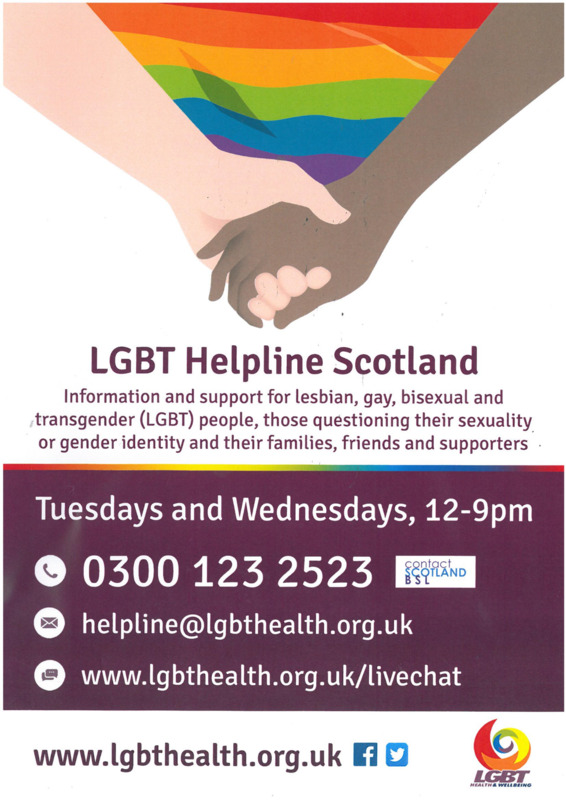 Help is available locally through Fiona MacLeod, Health Improvement Advisor. 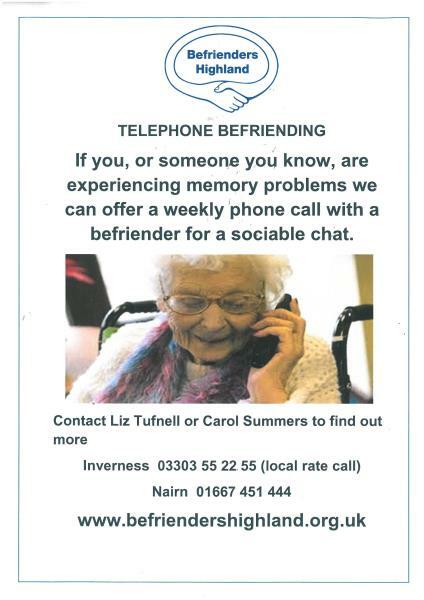 She can be contacted on 07966 262 103 for one to one appointments. Your local Pharmacy may also be able to help. NHS Highland has closed the Minor Injuries Unit at Ross Memorial Hospital until further notice. The Health Centre is not a Minor Injuries Unit. Patients with minor injuries should attend the MIU at Invergordon or A&E at Raigmore. We are delighted to have Falk Schlaghecke joining us as a Specialist Physiotherapist. You can book directly at reception to see him with any strains, sprains or joint pains, or stiffness. He can assess and give you some advice on how to manage your problem or refer you for investigations and more physiotherapy treatment if needed. Falk Schlaghecke (MCSP) completed his physiotherapy training in Berlin in 1999. After working in Germany for 6 years he moved to the Highlands and has been working for the NHS since. He has been part of the Dingwall physiotherapy team since 2007. Falk is working for the Scottish rugby Union alongside his NHS job. He has a special interest in musculoskeletal medicine as well as sports and exercise medicine. His personal interests include all forms of outdoor activities and history. A number of local pharmacies now offer a ‘one stop’ service for assessing women aged 16-65 with urinary symptoms. 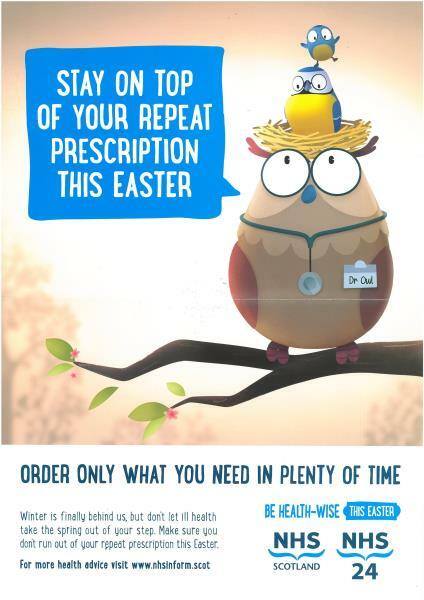 Pharmacists can now directly issue a prescription if it is thought to be appropriate. We hope this new service will provide an efficient and convenient way to deal with your symptoms. If you answer ‘no’ to all the questions below then it is likely that your local pharmacy will be able to deal with your problem. 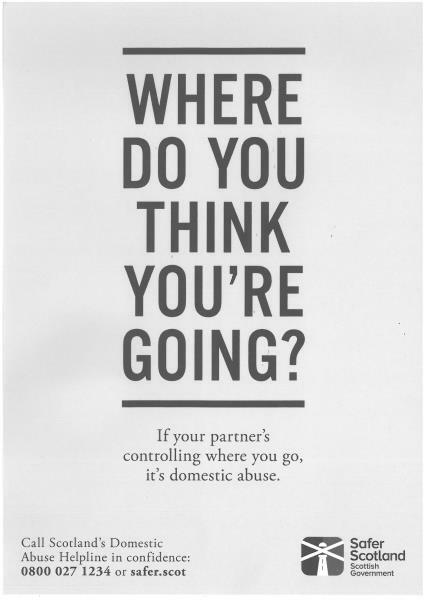 If you answer ‘yes’ then you may need to speak to a GP. Are you allergic to trimethoprim or cotrimoxazole (Septrin)? Have you had a urine infection in the last 28 days or multiple urine infections in the last few months? Have you any kidney problems?